Whether your historic home is still in its infancy or whether your historic structure is hundreds of years old, preserving the original architecture and design elements are crucial to keeping your historic home historic. Keeping the siding, roofing materials and other architectural features in their original state can be tough, but well worth the effort. More often than not, outdated and damaged windows are replaced with newer more energy efficient models, destroying the original look and feel of the historic structure. But the fact of the matter is, older windows can easily be preserved and restored, often at a much cheaper cost than a total replacement, and all without ruining your historic homes historic appeal. Level one window restoration and maintenance can easily be done by the homeowner. Level two and three repairs are a bit tougher and may require a professional to complete. When evaluating older windows, it’s a good idea to create a window schedule for each window. This basic list will help you to determine and keep track of each window as they age. 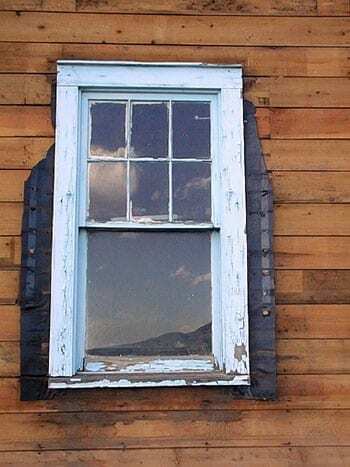 Noting the windows geographic location, how the paint, stain and glazing is holding up and what the condition the frame, sill, sash and hardware are in, are all important items that should be noted in your window maintenance schedule. Water damage, rot or other decay can be evaluated by pressing a sharp nail or awl into the wood to determine weak spots in the structure. Each window should also be opened and closed to exam the working condition of the window structure and hardware. Historic windows need regular maintenance to keep them in good condition. While most window work is uncomplicated, it can be labor intensive. There are five basic maintenance techniques that you can use to get your historic windows looking like new again. 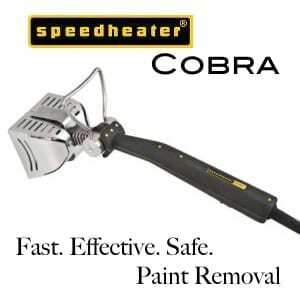 Removing the old exterior and interior paints—great care must be taken when using any heating equipment to remove old paint. Older window panes are very sensitive to heating and cooling. 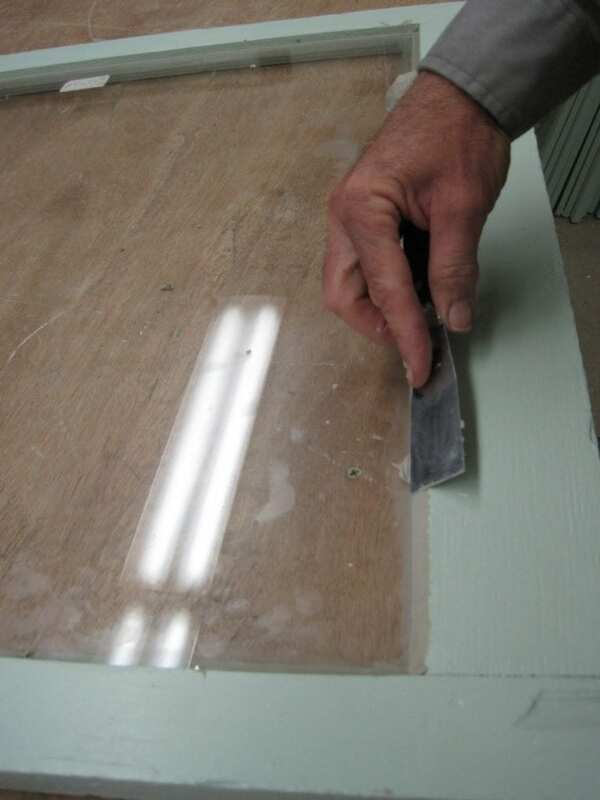 Cover window panes with a piece of sheetrock to prevent breaking the glass when using a heat gun to remove old paint. Repairing the sash—always secure the sash cords in place with a thumbtack or tape before removing the sash to prevent the cords from falling into the weight pocket. Repairing the frame—rotten spots in wooden frames are easy to repair using wood putty or epoxy. Treat any wood with a fungicide first before making repairs. 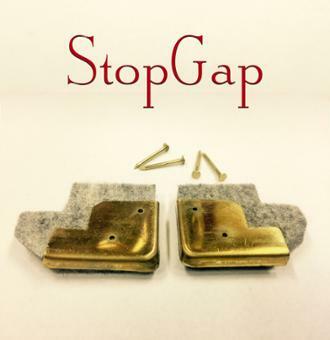 Weather stripping/reglazing—window panes should be removed and individually labeled when removing and replacing any deteriorating glazing to avoid mismatching panes when they are replaced. 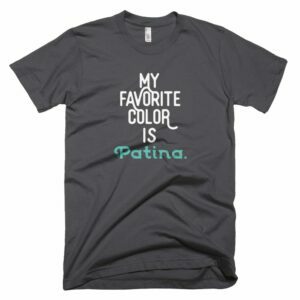 Repainting—most paints need a minimum of four hours to dry. Take advantage of long drying times by repairing sash cords and other hardware while the window is disassembled for painting. A piece of plywood cut to fit the frame can help keep out the weather while you work on the window. Smaller Repairs—repairing the structure is sometimes possible with an application of fungicide followed by repairing any damage with wood putty. Larger Repairs—after a fungal treatment, an epoxy or resin is injected into the wood to make the structure stable again. Heavy Damage—in worst case scenarios, parts of the sash or frame may need to be removed and replaced. When this process is required, always use the same materials when possible. When damage is so severe that replacing parts are necessary, it can be a difficult undertaking that probably isn’t in the average homeowner’s skillset. With the help of a professional historic renovator and the right millwork, replacing muttons, sills or other window parts can be easy and painless. Hardware replicas can be purchased for a modest price as well. Sash replacement is a common occurrence with many replica pieces being replaced for a reasonable fee. When splicing new and old materials together, it’s always best to keep new wood materials as close as possible to the original. This will prevent the different wood species modular elasticity from damaging the entire window unit when weather and moisture content changes occur. Of course, you can always take a trip up to your local architectural salvage yard to look for a historic replacement which can be found for $20-$40 if you’re lucky enough to find the right size! See our previous post How to Use Salvage & Save for more info on local salvage yards in your area. It’s always recommended to preserve and restore historic windows whenever possible. 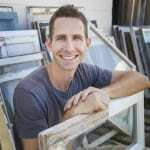 Repairing and preserving existing wooden windows is more practical than most homeowners realize, and unfortunately many historic windows are replaced because of the lack of awareness for techniques of evaluation, repair, and basic maintenance. By preserving and maintaining your historic windows, you greatly extend their lifespans and preserve the historic character of the building for future generations to enjoy for years to come. To learn more about the history and mechanics of your windows, read our post All About Historic Windows. do historic window’s need to be protected from the elements by a storm window pane? A single sheet of glass with white framing on the exterior of my 1840 Greek revival? Always helpful but not required. I am writing from Brazil seeking for some advice from an expert like you. I want to remove the paint from this old door. It has been in our family for almost 100 years. The glasses and glaze are in perfect state. Should I give a try of removing the paint without even deglazing? I am afraid of breaking them or even not being able to reglaze beautifully. I am still quite amateur in restoration. Regards and congrats for your useful tips and website. Pedro, I would restore the door without removing the glass. Just be careful around the glass and do your best! I will give my best without removing the glasses. By the way, to you have any tip on how to remove the green paint from the glazing? Chemical paint removal or just scraping? Tks again. Pedro, How’s your door now? 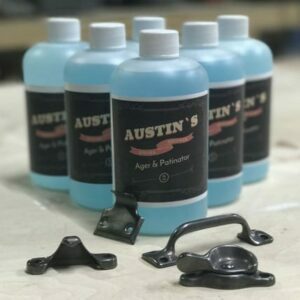 My mom mentioned using pumice stone for sanding grooved wood, and a n antique glass expert showed Nicole Curtis how to use a pumice powder rub on lead glass to remove burn glazing. I’d love it if you’d address the issue of county building codes. I have an antique leaded glass dutch door with half height side windows on each side. I am going to run into trouble with the international codes as far as the issue of the glass not being saftey glass. I wish somneone would have advised us about this issue.Do I have any recourse or retro fixes I can do to remedy this. The guy at the salvage building supplly said most people when buying these types of things are not having to worry about new construction codes and inspections as they use them in out buildings and sheds.I understand that they do not want to be responsible or liable if giving wrong info. or advise.but this does not help tell me what my options are.any advise? Repairs to old houses and their parts will not trigger a code issue in almost all locales in the US. “Full scale” replacement of any item will usually require that the new item be up to current building codes. If you are replacing a window sash that isn’t only a repair whereas both sashes and the jamb being replaced would be a “full replacement”. Check with your local building inspector though. Thanks Scott ,I think that tells me what I will be facing moving forward on this project.This is a new build and if I understand you correctly then that would be a full replacement catagory.Thanks again! Love your The Craftsman Blog. We’ve recently purchased a 1928 house in Franklin Square, NY. We’ve evaluated if we should replace the old wood double hung windows with vinyl replacement windows. But, your blog inspired us to try to restore these windows. Unfortunately, the previous owners replaced most of the old windows except for those in the kitchen, dining, bathroom and one bedroom. If interesting that the vinyl windows are in worst condition than the old wood windows. 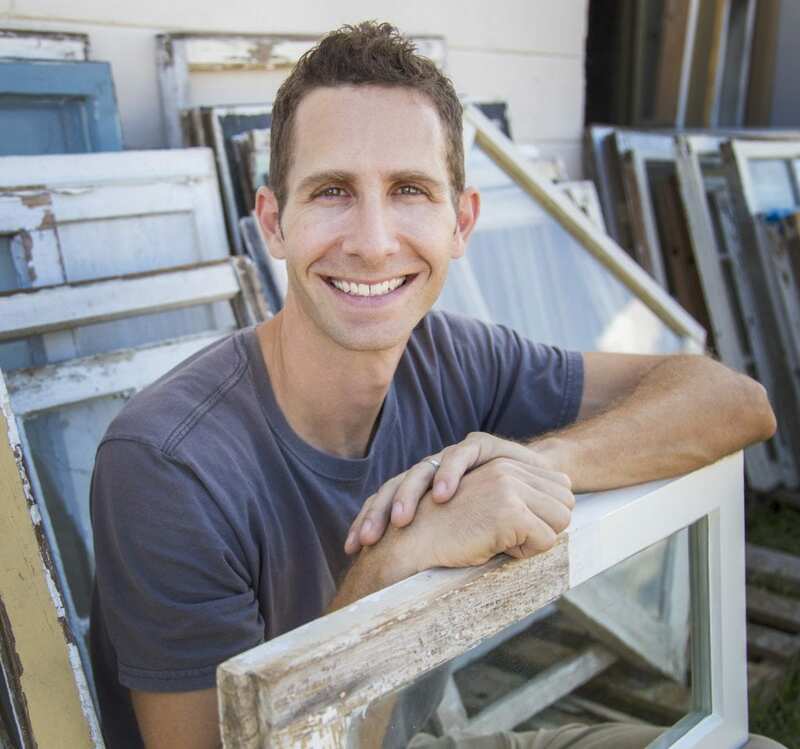 So glad you’ve decided to save those old windows, Robert! Historical windows are indeed architectural treasures and preserving such is indeed very important. These tips that you have shared regarding such are truly helpful. Thank for sharing. Call me a sicko, but one of my favorite things is reglazing windows! I learned, from getting up-close and personal with my windows, that new glass isn’t even in the same league as old glass. Most of mine still have the old glass, complete with slight waves and the occasional bubble. The windows in my home are 7 feet tall. Before the sale of this house was complete, we snuck (yes, snuck!) over here and, at our own cost, reglazed every single window in the house and replaced a couple broken panes. We also restrung all the weights. We were so afraid that the sale would be declined if the inspection showed broken windows. None of the downstairs windows locked, so it’s not like we broke in. Ok, maybe it was. (shh!) It was a bank-owned foreclosure, and the bank was 1,500 miles away. My question to you is about a round window on my staircase. I walk past it every day and get a knot in my stomach. Inside, the molding is intact. It’s sturdy. The frame is terribly rotted, and all of the glass is broken. I used clear silicone to hold the cracks together and prevent it from falling out until we can figure out what to do. Outside, the window looks like it’s beyond repair. None of the molding remains, and the frame is so badly rotted that it’s like a sponge. The molding is clearly custom millwork. It’s at least 10 inches wide, with three rows of beads. I see replacement windows that we could use, but they all look silly compared to what this one must have looked like back in the day. Os it possible for a fairly handy person like myself to fabricate a new window for this spot? I’ve never built a window, but I know all the components. Or should I just bite the bullet, rip out the old window and install one from Home Depot? Hi Scott. I just sent over three photos. They’re not great, and don’t show much detail. If you want, I can take more to give you a better idea of what I’m dealing with. I’d love to see some round windows. Scott, is there any way to show subscriber photos? I have two curved glass windows I’m getting ready to replace and wonder if they are similar?